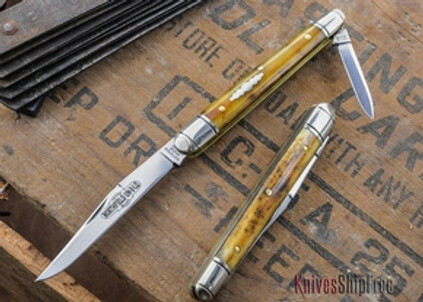 The Great Eastern Cutlery #89 is officially called a "Melon Tester," but in reality it makes a smooth-opening gentleman's knife with light backsprings and useful blades. The "melon knife" is a relatively recent pattern in the pocketknife world, first appearing in the 1930s. Essentially it's a lightweight, slim jack with a spear-point blade. It's also known as a "citrus knife" and a "sausage knife." The #89's large primary blade is offered in either a clip or a spear. 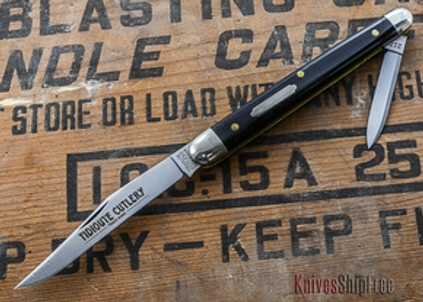 All versions include a small pen blade, and the "Melon Whittler" model features a third blade in what's known as a "coping" profile. The #89 measures 4" closed. 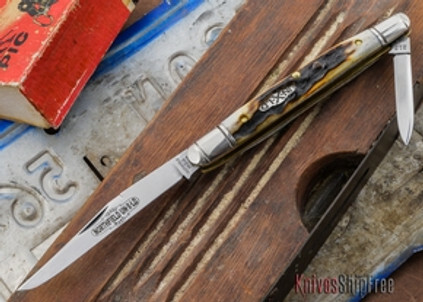 Don't be fooled by its slender frame, however -- this is no wimpy pocketknife. 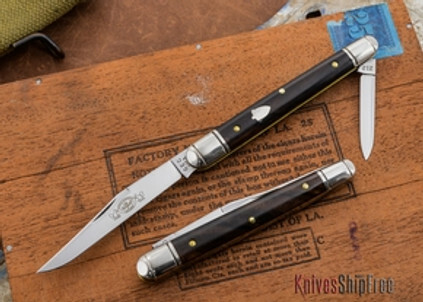 The #89 is a Great Eastern knife you can use.